The Singapore Monologue Slam (SMS), Singapore’s first monologue competition, returns in 2017 for its second edition. The SMS is a platform for young actors and writers to showcase their skills in front of a live audience and a jury panel from the film and theatre industry. Supported by *SCAPE, and Noise Singapore, the competition is open to all 13 to 35 years old who reside in Singapore. The competition, held at *SCAPE from 21 to 24 September 2017, urges all to ‘step into the spotlight’. “The SMS expands the community. It enables people to believe that creativity is inherent in everyone. Not just the actors on stage, but the audience as well,” says Thomas Pang, a two-time Best Actor nominee for the LIFE! Theatre Awards, and the youth ambassador of the competition’s 2017 iteration. This year, inclusivity will be the focus of all new initiatives. One of which is an online competition, which enables adults beyond the age of 35 to participate. The winner of this competition will be granted entry into the Grand Slam. Kamil Haque, the artistic director of Method Productions, hopes that this will make the competition more accessible for all. “The SMS is our way of empowering young people to express themselves and pursue their creative dreams,” says Kamil Haque. Mr. Haque has worked as an acting coach and director for more than 1000 students including the youth at Singapore’s first professional acting studio, Haque Centre of Acting & Creativity (HCAC). A series of pre-competition events will be held at HCAC, to ease participants into their competition journey. From personalized consultations to masterclasses, participants will be mentored and guided every step of the way. More awards and prizes will also be introduced to reward performers with talent and potential. The 2017 edition boasts a value of more than $22,000 in prizes – a steep increase from 2016’s prize value of $16,000. at all.” says Mr Haque. 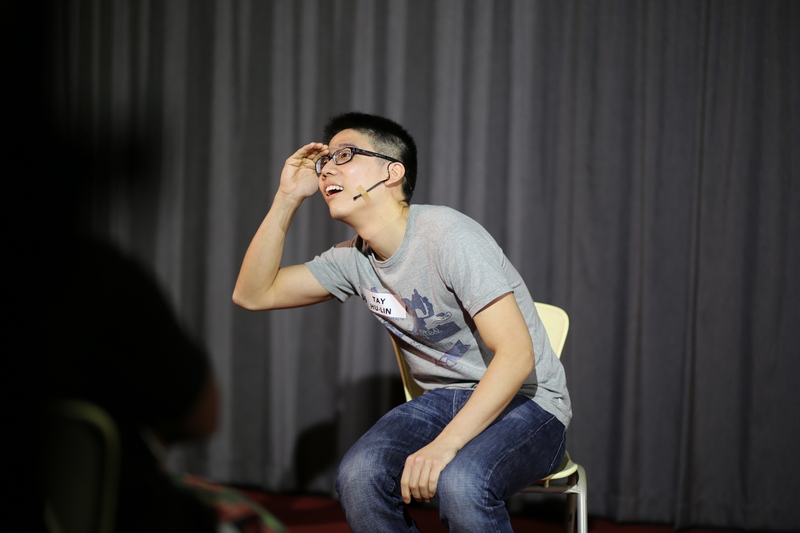 To bring creativity and the love for monologues to the masses, the finalists of this year’s competition will also be taking their monologues on tour in different venues around Singapore. Registration to enter The Monologue Slam competition ends 30 June 2017. ● Registration fee to enter competition: SGD$30.00. Payment by cash, cheque or credit card.